A proxy server is an application or system that acts as an intermediary between your computer and the Internet. Enabling this service can cause problems in accessing Internet websites because the proxy server settings have been configured. To mention, problems encountered would be slow access to resources or blocked content from malicious websites. Launch the Internet Explorer icon. On the Internet Explorer window, click on Tools then click on Internet Options. 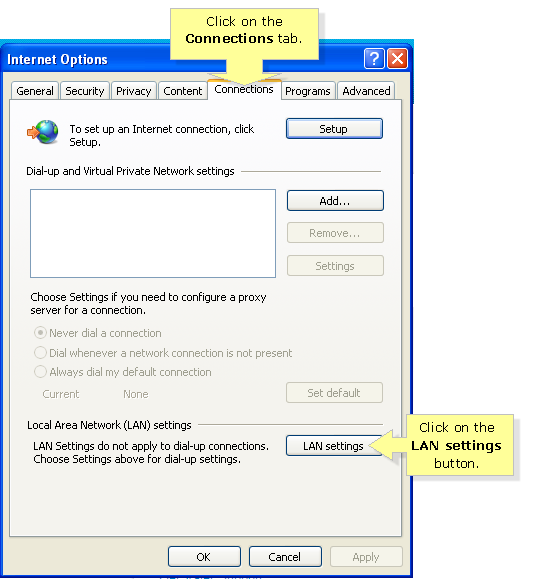 On the Internet Options window, click the Connections tab then click on the LAN settings button. 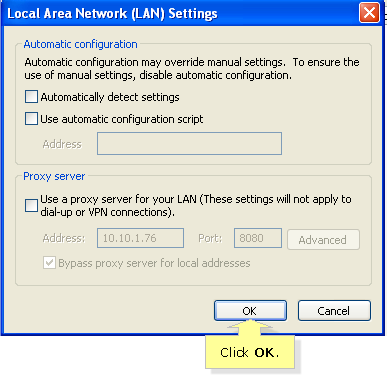 On the Local Area Network (LAN) Settings window, make sure that all checkboxes are unchecked then click OK. The proxy server setting is now disabled. You should now find improvements in your Internet performance. You can verify this by visiting different websites.